Translating nationally determined contributions into concrete actions, requires, among other things, implementation plans that prioritize specific sectoral climate actions and predictable finance flows, sustained capacity-building and the transfer of relevant technologies from developed countries. This, in turn, calls for serious dialogue and interaction between policymakers, scientists and researchers, as well as other stakeholders, to support the translation of the nationally determined contributions into action plans and programmes. The seventh Conference on Climate Change and Development in Africa brought together various stakeholders to interrogate Africa’s nationally determined contributions and define actionable climate agendas. 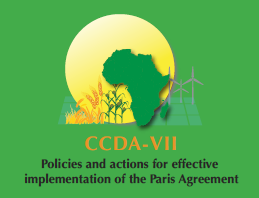 This gathering built on the sixth Conference, which focused on understanding the implementation implications, challenges and opportunities of the Paris Agreement in the context of Africa’s development priorities prior to it coming into effect on 4 November 2016.
and climate finance for them. By uniting different platforms, parallel sessions and exhibitions for dialogue and interaction, the seventh Conference facilitated and enriched the shared lessons from the implementation of nationally determined contributions, key research findings and outreach and policy uptake, as well as stimulate investment. At the Seventh Climate Change and Development in Africa Conference (CCDA VII), the CGIAR Research Program on Climate Change, Agriculture and Food Security (CCAFS) co-organized a pre-event around youth in agriculture. 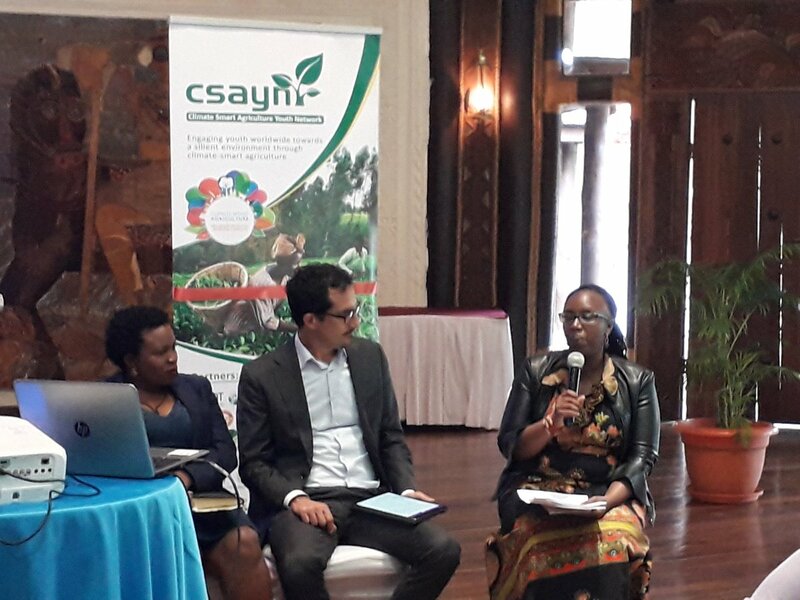 The session was led in cooperation with the Climate Smart Agriculture Youth Network (CSAYN) and the International Center for Tropical Agriculture (CIAT). Catherine Mungai (see picture), CCAFS East Africa Partnerships and Policy Specialist, made a recommendation to document what young people are already doing in agriculture and start organizing learning visits for them so they can exchange knowledge and best practices with each other. 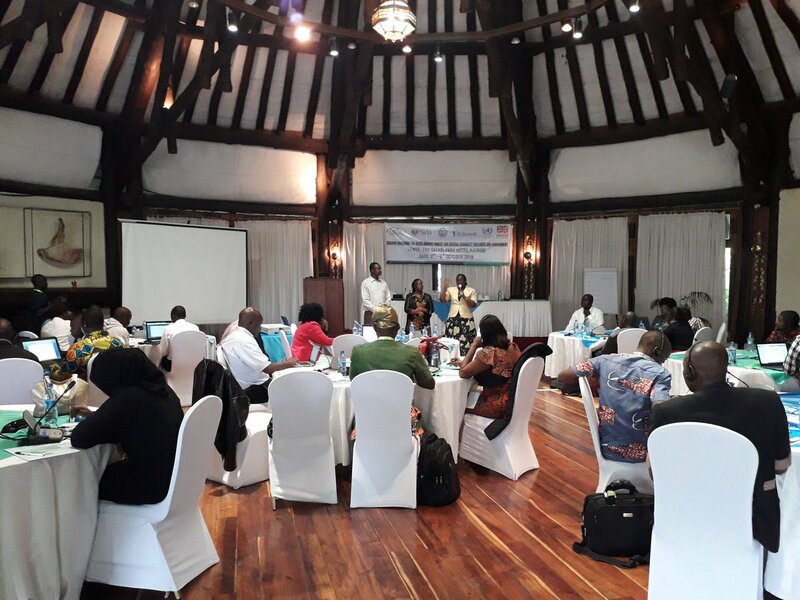 As part of the CCDAVII pre-events, CCAFS East Africa scientists made presentations during the training workshop for African journalists on climate and environment. This session created a platform for the young journalists and media professionals covering climate and environmental issues to engage with researchers. 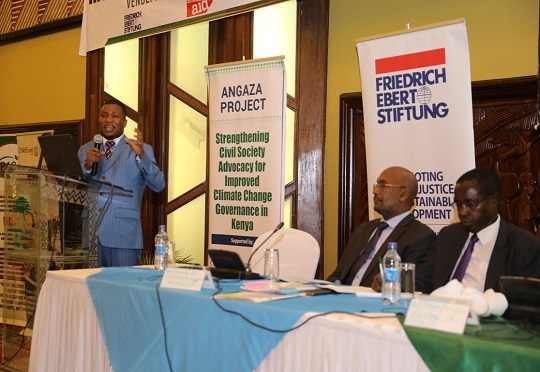 The participants included the finalists of the African Climate Change and Environmental Reporting (ACCER) journalist awards and members of the Pan African Media Alliance for Climate Change (PAMACC).